The hidden moors and valleys of the North Yorks Moors provide some of the best natural singletrack anywhere in the British Isles. Mountain biking in the Moors is an experience for everyone. Routes vary from an amble along the Hambleton Hills to full-on world standard routes at Dalby Forest – a venue recently voted as being the world’s favourite XC venue. With over 70km of singletrack. The variety of this area is superb; moorland heather tracks, steep sided valley’s, twisting woodland singletrack. Yep, the Moors has it all.Easily accessible from the A1, one of England’s main road routes, it has a historical place in the British mtb scene. The best centres to locate yourself are Helmsley, Guisborough, and, of course, Dalby Forest and Pickering. This is a burner, a real test of your stamina. As it starts, we follow the BW from Cold Kirby, before detouring off the BW and along the road via Old Byland, to avoid a poor section, before we return to the excellent trails. 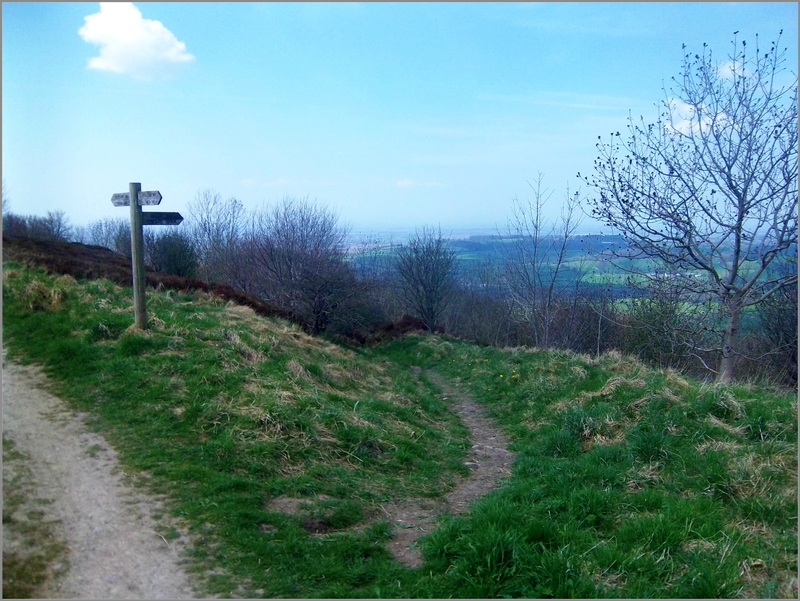 This route follows the edge of the Hambleton Hills, along the ancient highway that links Sutton Bank with the picturesque village of Osmotherley. At only 14 miles this route really packs a punch, starting off with a steep climb of Ingleby Bank over rough and technical terrain. Then the singletrack begins, giving you a taster of what’s on offer further along at Great Hograh Moor. The route starts with a climb, and rolls you down through trees before tarmac leads you back. Along the way you climb and descend on rocky technical tracks, wide fast double tracks and even get in some secret singletrack at Hanwby Moor. Starting with a pleasant gravel track through a wooded dale, the route takes you out into a little frequented part of the moors, before bringing you back to Helmsley via the ruins of Rievaulx Abbey. Don’t be lured into complacency – there is plenty of climbing and plenty of tricky terrain to negotiate.Though short, this is a testing route that can easily be extended. This is a fantastic introduction to Moors riding. Don’t look at the middle section as 5 miles of toil – it’s 2 1/2 miles of toil, followed by a great downhill section. From Square Corner – yep, check the map name – we’ve taken this route down the Cleveland Way and past the reservoir, towards the village. You’ve guessed it, this route starts with a climb. However, the country landowner has made it easy for you, by tarmacking the narrow lane which winds its way up to the junction with the Cleveland Way. Numerous bridleways and tracks cut across this valley. The route here is a good introduction, and a great little evening or afternoon ride. A few steep climbs and a terrific short singletrack descent, good woodland trails, and great little swooping descent across open meadows. A superb introduction to Rosedale’s famous singletrack. I saw this route on the Muddy Bums website and had to ride it, so thanks guys. I’ve altered it only slightly, to bring in some more technical singletrack. This route has a section of moorland singletrack that is amongst the best in the UK – yep. I know that’s a big statement, but ride it and see. The route itself starts off with some easy riding and some woodland downhilling, followed by a long climb along Rudland Rigg, before turning off on singletrack to Low Row. The short blue, as it’s now listed, it a great amble across the escarpment, with some good field edge trails thrown in; all nicely surfaced with chippings where necessary, providing an excellent surface. The route starts off near the visitor centre and heads off into the woods, providing a great little section through trees, before opening up and crossing the gallops on its way to the escarpment.